Featuring Abe Martinez, AKA Ranting Ricardo, AKA Robert Spiegel – all the way from the US of A! Just a few words to let you know that all is well on Tysnes, and to wish you a healthy, happy and prosperous 2019 – on behalf of the entire Tysnes population. Knowing full well that the station/podcast is closed, I couldn't simply not report on a couple of extraordinary experiences, while volunteering as a Tysnesfest host on Thursday the 12th and Friday the 13th of July, including Lissie (US), Bigbang (NO), Susanne Sundfør (NO), Smokie (UK), The Prodigy (UK). From Saturday: Dagny (NO) and Alan Walker (NO). AND a call from Georgie Dee! Thank you so much for following RTI since its humble beginnings, to its humble demise, but this is it, I'm afraid. Please listen to my justification (I'm sure you'll agree). Take care, all! Another episode in anticipation of the Tysnesfest highlights – and other Tysnes news. Newsflash: Tysnes BBQ ban lifted. No ordinary RTI episode in week 24, but next week's Tysnesfest Special in the making. News from Tysnes – and on the upcoming 11–15 July Tysnesfest – the number one music festival on the Norwegian west-coast. Just a quick teaser for our next episode, launched God know when. Quick announcements prior to RTI's next episode. 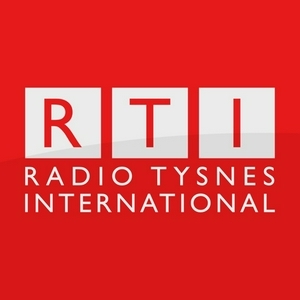 RTI will be on an indefinite break, with the possible exception of the days around the 11 – 15 July Tysnesfest. Laundry in petrol station! Toy store reopened! Learn more on RTI! The latest Tysnes news, brought to you by RTI. Latest episode of Radio Tysnes International, including a segmented trip to "nearby" Bergen – and loads of Tysnes news. The city of Prague, from a Tysnes – and Cork – perspective. Based on Paul O'Mahony's stay during the weekend and the RTI host's week there in October last year. 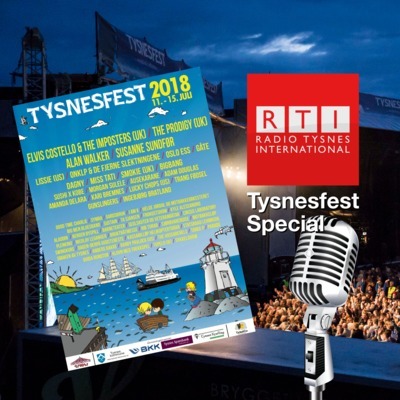 While the entire world is eagerly awaiting this summer's 11–15 July Tysnesfest, RTI presents a few headliners – and then some. On Anchor.fm only! Latest episode of Radio Tysnes International with calls from Ireland and Australia, news on Tysnes man with makeshift Easter radio station, Smokie's Tysnesfest appearance – AND music! Just some music for you. A few news on RTI, Anchor AND Tysnesfest! Just a quick hi from Tysnes! For now. RTI Weekly • Today's Tysnes weather: 🌧☁️ • Sie hören Radio Tysnes International (Legs) 🎙📻 • Tysnes library soon more than a library 📚 • The Monotones: Book of Love • From Tysnes With Love ❤️ • Tysnes chamber choir Xmas concert 🎄 • Thomanerchor Leipzig: Weihnachtsoratorium Jauchzet frohlocket (J.S. Bach) • Tysnes Xmas card competition • "Xmas street" opening in Lunde 🎅🏻 • Perry Como: It's Beginning To Look A Lot Like Christmas • Ambience from a Tysnes pre Xmas party • Bing Crosby, David Bowie: The Little Drummer Boy/Peace On Earth • RTI – Your Sunday go-to station ❤️ • First Tysnesfest headliners released • Bigbang: Wild Bird • Gåte: Stolt Solvår • RTI SUNDAYS ARE THE BEST SUNDAYS • No drinking in Tysnesfest festival camp? 🍻 • Bran Van 3000: Drinking in L.A.